The euro was weak across the board today. 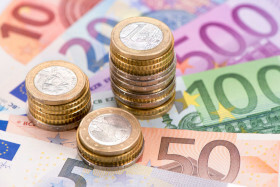 Market analysts explained the currency’s poor performance by worse-than-expected industrial production in the eurozone. Eurozone industrial production contracted 0.9% in December from the previous month after falling 1.7% in November. Analysts had expected a smaller decline by 0.4%. Industrial production in the whole European Union fell by 0.5%. EUR/USD tumbled from 1.1324 to 1.1266 as of 21:12 GMT today. EUR/JPY was almost flat at 125.06, retreating from the daily high of 125.54.